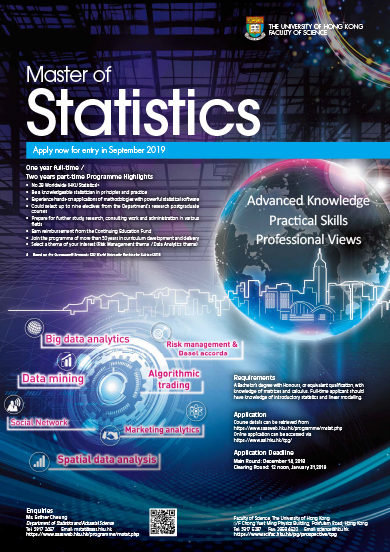 The degree of Master of Statistics is a one year full-time / two years part-time programme, which has been restructured from the previous degree of Master of Social Sciences in Applied Statistics that was launched in September 1987. Since the first graduation in 1989, we expect to have about 950 graduates when the present cohort completes the programme. 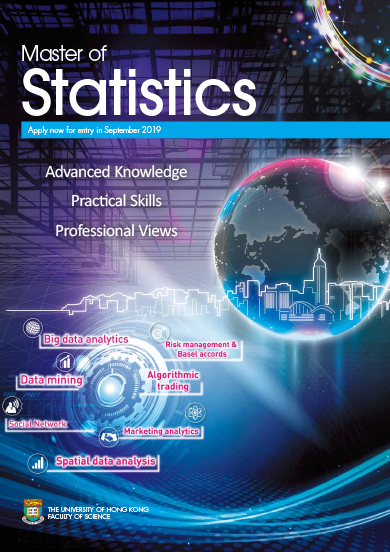 This programme is designed to provide a rigorous training in the principles and practice of statistics. It emphasizes applications and aims to prepare candidates for further study, research, consulting work and administration in various fields through computer-aided and hands-on experience. 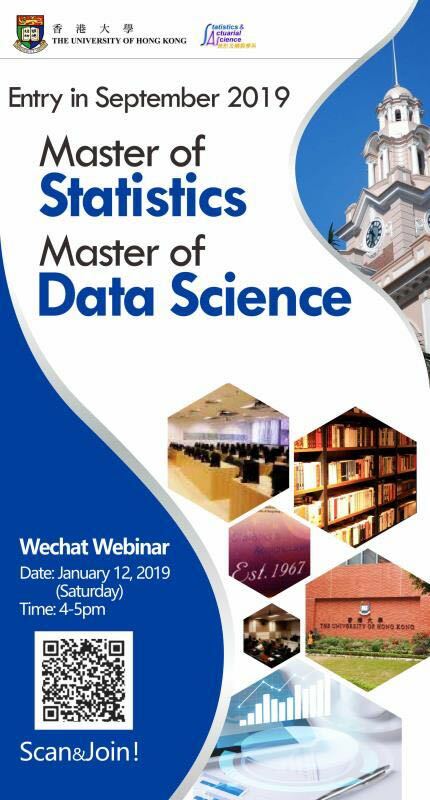 Multiple prizes with an amount from $5,000 to $10,000 would be awarded to part-time MStat students based on their first-year examination results, and full-time MStat students based on their examination results in the first semester.